'I had not known you a month before I felt that you were the last man in the world whom I could ever be prevailed on to marry'. 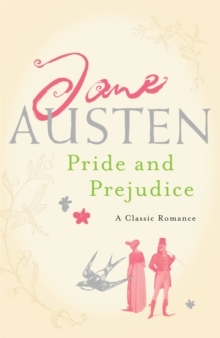 Perhaps her best-loved, certainly her most well-known book, "Pride and Prejudice" is the classic romantic comedy. It's the enchanting and enduring story of Lizzy Bennet (one of literature's most engaging heroines), proud Mr Darcy, of true love, families, villains and heroes and of course, pride and prejudice.